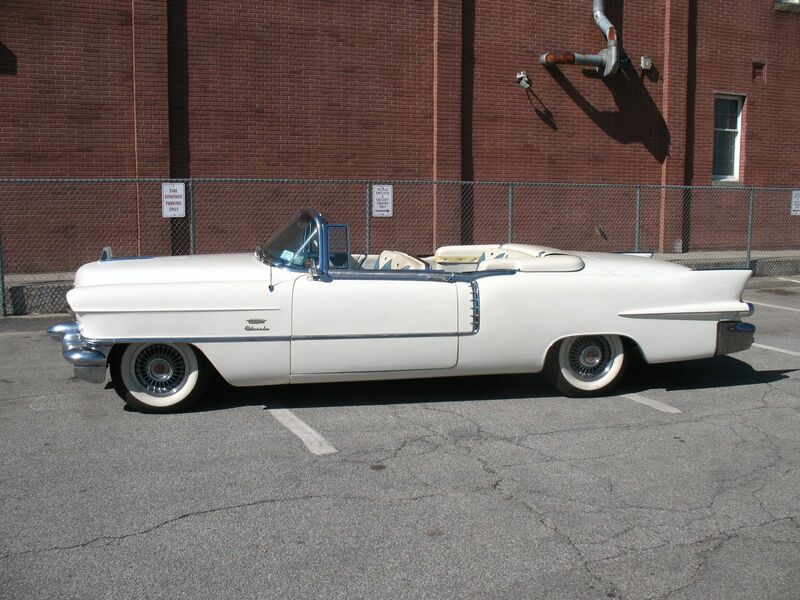 The lowest mileage Eldorado Biarritz to date has been added to the roster. 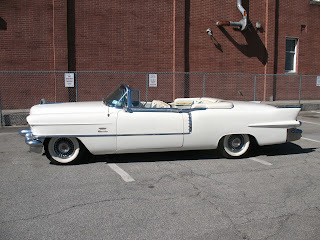 This original example has only 23,700 miles on it since new. 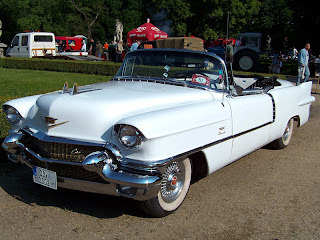 See more pictures and read about the history of this car here on the Alpine White page. Click HERE and scroll down 3/4's of the page to view. Click HERE and go to BDY #1531 to learn more about this car. 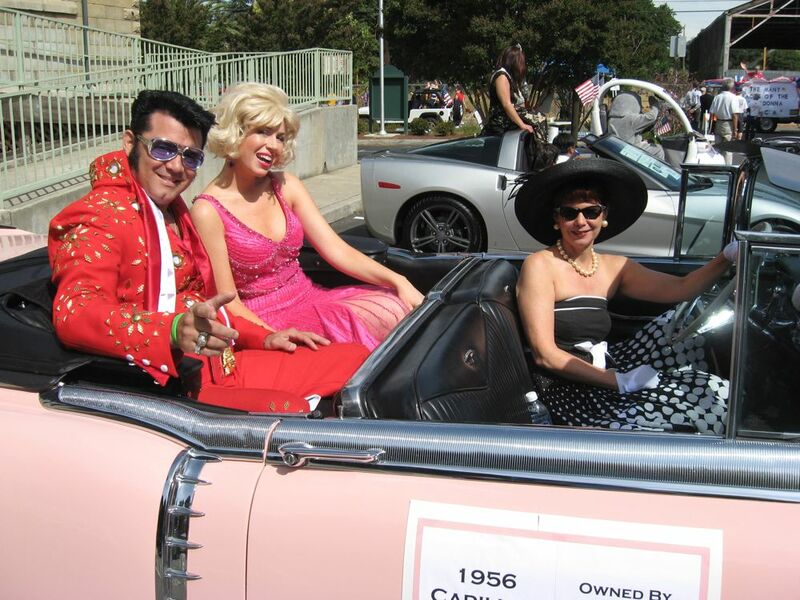 The owner of this Mountain Laurel Eldorado (BDY # 876) sent in this great picture of her and two famous passengers all set to go for a ride. We have our first sequential surviving body numbers, BDY #1531 finished in Alpine white and BDY #1532 finished in Mandan red. 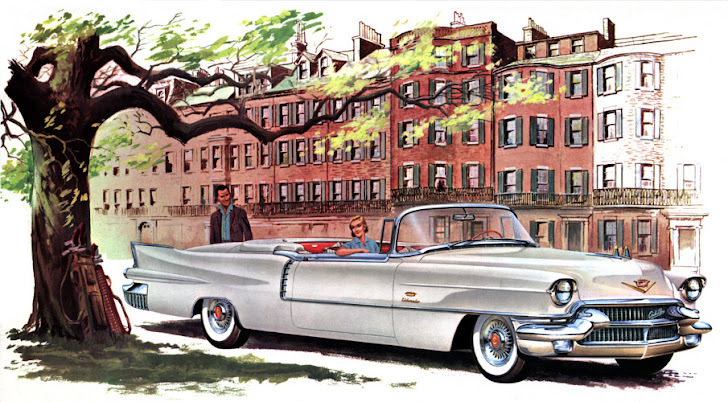 Cadillac built 1408 Eldorado Biarritz cars between January 3rd and June 1st of 1956. That accounts for 2/3's of the total production within that 5 month period. A total of 631 cars were built prior to January 3rd and only 111 cars were build after June 1st to finish out the build. That's all for now Folks! A big thank you for all of the contributions this week. Please keep the info coming!! !